When you’re building out your site, you’re bound to run into cases where you’re deleting pages, moving pages, changing URLs for categories, etc. All these changes can cause problems when you’re not properly redirecting the old URLs to new ones. In all these cases and more, our redirects module can help you fix those. 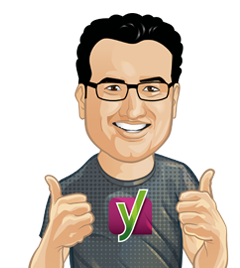 You won’t need your developer to create those redirects for you anymore, just do it yourself with the redirects manager in Yoast SEO Premium! Context is one of the hottest topics in SEO. Search engines get smarter every day and today, they use the context in which a keyword appears to determine what a text is about. Synonyms and related terms, therefore, are more important than ever. Yoast SEO Premium now lets you optimize your text for these synonyms and terms. In addition to that, we will detect any word forms of the keyword you use in your text. If you use for instance “decoration”, we will find word forms like “decorated” and “decorates” as well, just like Google does. These new features works in conjunction with another new feature, that of keyword distribution. Our analyses will now tell you if you’ve distributed your terms well throughout the text. This is the closest to Google’s algorithm you will get with a WordPress plugin*! * We are constantly working on perfecting this for all available languages. If you want to rank, you have to create content. High quality, relevant and informative content, about the keywords you want to be found for. The more you have, the better. If you manage to create all this content, you might face other challenges though. How do you structure this content? How do you show Google which posts are related, and which are most important? That’s when our internal linking tool helps you out. It shows which posts are related to the one you’re working on, so it’s super easy to link to related posts. For an article to rank well it has to be available for search engines. A lot of sites, however, have so-called orphaned content — i.e. content that’s not linked from anywhere and thus unavailable to both search engines as well as visitors. In the past, it used to be hard to track down orphaned content and to add it correctly to the site structure. Now, with Yoast SEO Premium’s orphaned content filter its a piece of cake. Coupled with the internal linking tool you’ll start linking these posts in no-time! Your most complete and highest ranking posts or pages, a.k.a. your cornerstone content, should be up-to-date at all times. But in your day-to-day activities, you might not always think about them. Our Stale cornerstone content filter will remind to check them at least every 6 months! If you find one of your cornerstones in this filter, make sure to go through it and check if it’s still up to date. Easy as pie! 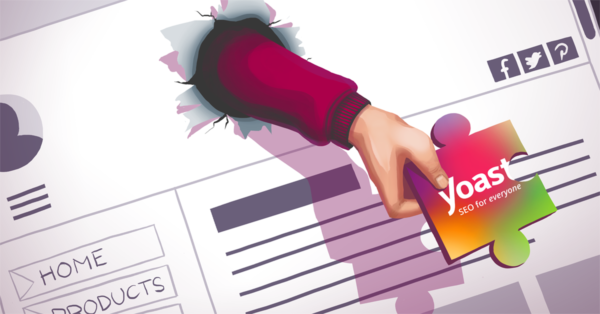 Should you ever run into issues with Yoast SEO Premium on your site you can get help from our world-class support team. They’re awesome! Did you know you can get a subscription to all our plugins, and courses as well? On a monthly or yearly basis. Whatever suits you! Check out all advantageous offers here.